One of the top questions I'm asked from Astrology enthusiasts is to explain why it is widely advised among astrologers to read any horoscope, or watch any video horoscope, for both your Sun sign and your Rising sign. Before I begin, let me be clear: nothing replaces a proper consultation with an astrologer. During a private session, an astrologer will cast your specific horoscope based on the date, time and location of your birth. This map is unique to you and the cycles an astrologer will consider in his or her forecasting can be remarkably accurate. I personally believe that everyone should invest in this experience at least once in their lifetime. Just be sure that if you do, you hire a qualified professional. The second best way to get the most personalized attention possible is by considering both your Sun and Rising sign -- or, Ascendant -- when you read or watch your horoscope. The Sun is the core identity, the very essence of your basic vitality. When you pay attention to your Sun sign horoscope, you're getting valuable information about the general themes happening for you and everyone else who shares your Sun sign. This is both the beauty and the limitation of a Sun sign horoscope. How can millions of people have the same exact experience in a given day/week? Obviously this is not possible. We all know that Sun sign forecasts are not 100% accurate. They can't be. A Sun sign forecast by its very nature is limited in scope and depth. Yes, you will learn about the themes happening in your world. For example, in the chart of every single Libra right now, there's a major pattern happening where close partnerships are going through a revolution, thanks to the transit of Uranus through Libra's 7th House of Partnership. Does this mean every married Libra will get divorced in the next few years? Or every single will marry? NO, that's just a silly assumption. What we do know though, is that Libra is going through a cycle now that demands personal revolution in his or her approach to relationship. How that plays out will greatly depend on each individual Libra's birth chart. Enter, the importance of the Rising sign forecast. If you know the date, time, and location of your birth, your birth chart can show you which sign was rising in the eastern horizon at the moment of your birth. This is the sign at the "9 o'clock" position of your birth chart, and it begins the entire chart. It's the cusp of the 1st house. 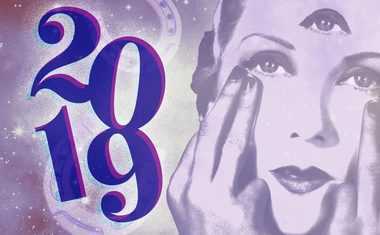 The sign and degree of your Rising sign will help to determine the mathematical structure of the rest of your chart, but even if all you know is the sign, you'll have an immediate edge when reading or watching your horoscopes. Why? When you read for your Rising sign, you have a more accurate reading of what trends are active in your life, because the timing will be more closely aligned to your true birth chart! So does this negate the importance of your Sun sign forecast? Absolutely not! In fact, the best way to read or watch any horoscope is to blend the two forecasts together, fitting them into your current reality. The Sun sign horoscope will offer vital information about the general themes happening for you -- kind of like an overview. 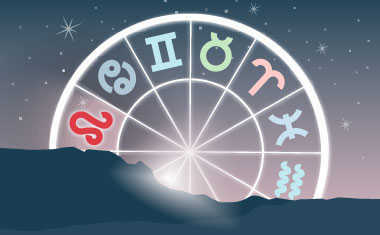 The Rising sign horoscope will flesh out the timing of when things will happen for you with greater accuracy. You might see this in your forecast. Let's say your Sun was in Cancer and you had an Aries Rising. For Aries and Aries Rising individuals, Pluto, the planet of transformation, is now touring the 10th House of Career. Uranus in Aries could cause major shifts in how each Aries works through career changes and expresses individuality in the process. And yet the backdrop theme of having your Saturn in the 7th house of Partnerships as a Cancer Sun could mean that career transformations are a direct result of the strategic business alliances you're forming. Both forecasts would make sense, but the timing might be more precise in your Sun or Rising sign forecast! 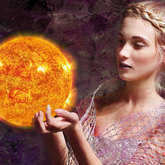 You too can blend the meaning of your Sun sign and Rising sign forecast each day, week or month for a richer analysis. I hope this settles the question once and for all about why it's important to read/watch a horoscope for both your Sun and Rising sign.